As with most software or apps, you'll have a question and will need help. 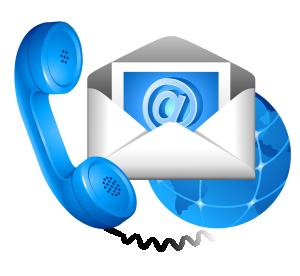 QuoteWerks offers live phone technical support in addition to email technical support and free pre-sales support. Our tech support reps are all located in our headquarters (no outsourcing) and are trained experts in our solution. We also offer multiple resources on our website for those who like to learn on their own including a help file, online videos, and monthly webinars, all for free. QuoteWerks Technical Support is second to none. Find out what our customers have to say in our Support Testimonials. Webinars are a great way to learn more about QuoteWerks. Sign up today! View information on what support comes with your purchase of QuoteWerks. To contact support services by E-Mail, send an e-mail to support@quotewerks.com. This will automatically create a ticket. To view existing support tickets, please visit tickets.quotewerks.com. To contact support services by phone, call (407) 248-1481, 9:00 a.m. to 5:00 p.m. Eastern Standard Time, Monday through Friday, excluding Holidays. A single representative from your company must be designated as the support contact. Typically this person is your system administrator, or QuoteWerks administrator. This requirement is in place to ensure that the person who is most familiar with your QuoteWerks installation is speaking with QuoteWerks support services. The version of QuoteWerks that you are using including the build number located on Help -> About menu. The QuoteWerks Support Forum is a great place for QuoteWerks users to have their technical support questions answered by QuoteWerks technical support staff, and it is also a great place to communicate and share ideas with other QuoteWerks users on how they setup and use QuoteWerks to meet their needs. Over the last several months, we have received many questions from users asking us how other users are using QuoteWerks. Here is your chance to ask them. We encourage our users to use the newsgroup often to ask other users how they have used QuoteWerks to meet their needs. Another advantage to the newsgroup is that you can easily review all the real life questions and answers that have already been asked! The more you visit the forum/newsgroup and contribute, the better the newsgroup will be for all that use it! Please note: DO NOT post your License Keys on the newsgroup. All requests for registration codes must be directed via email as usual. You can also access the newsgroup from the QuoteWerks Help -> QuoteWerks on the Web -> Web Newsgroup menu. View what support is included with your QuoteWerks purchase. We believe training is an important aspect of purchasing new software. We offer a variety of training options to our customers. We have a library of previously recorded build release webinars that review all of the new features in each new release. Watch previous recordings or sign up today! Classroom Training is offered by Aspire Technologies, the developers of QuoteWerks, and is available at our Corporate Office located in Orlando, FL. You can view previous training class videos at your leisure. We have QuoteWerks Solution Partners that have experience with installing and configuring QuoteWerks. Some also provide on-site or classroom training on QuoteWerks. The QuoteWerks Download Area has Sample Layouts and Word Templates, Workflow Diagrams, Utilities, and other useful goodies. Join a Support Session with a QuoteWerks Technician.